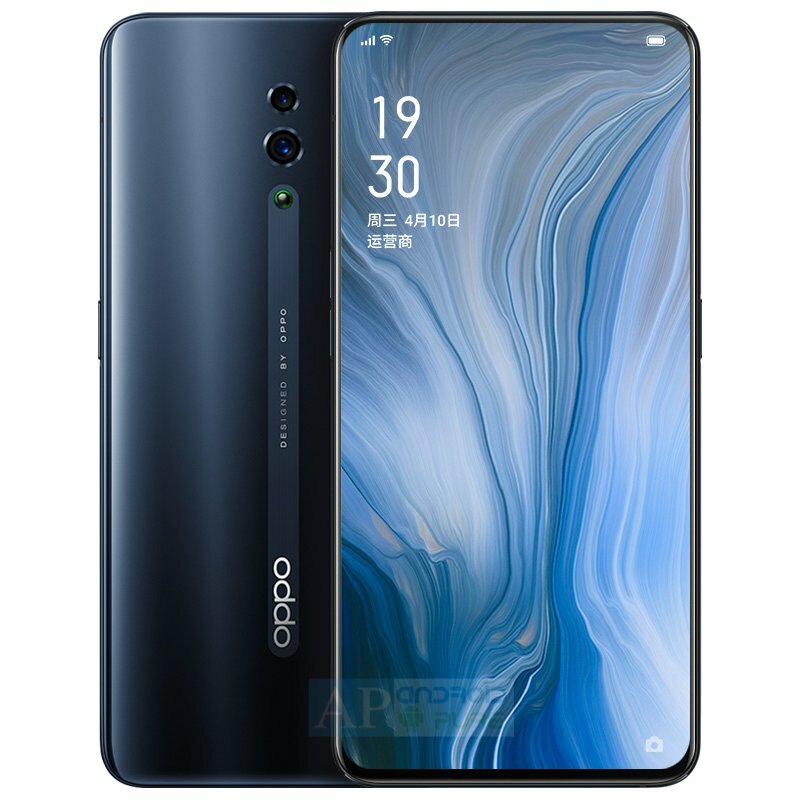 Oppo is set to officially launch Oppo Reno tomorrow at a launch event in China, followed by a global launch on April 24 later this month. We have already seen the official Press renders of the device that reveals all the design details. Oppo Reno is expected to feature a new innovative pop-up camera design dubbed as Shark Fin. We already know about the variants of the upcoming device in terms of RAM and storage combinations i.e. 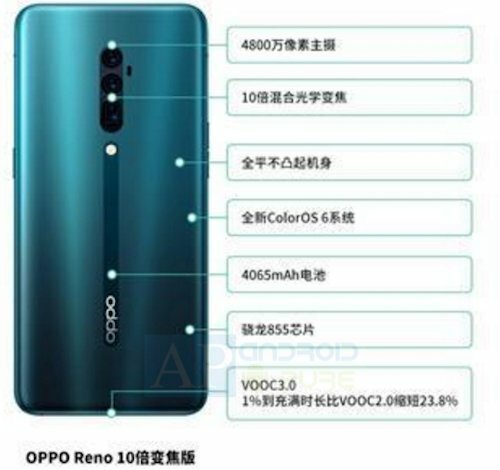 Ahead of the official launch, alleged hardware specifications of Oppo Reno has surfaced which reveal all the details. 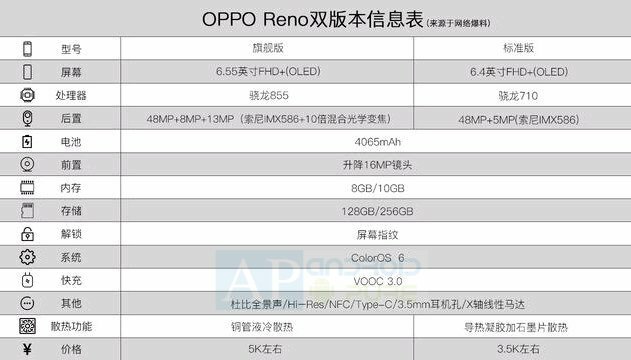 As per this leak, there will be two major variants of Oppo Reno where the first variant features premium flagship hardware with Snapdragon 855 processor having a triple camera module, while the other variant will be powered by Snapdragon 710 & features a dual camera module. As per leak, the premium variant of Oppo Reno sports a 6.55-inch Full HD+ OLED display and is powered by Qualcomm Snapdragon 855 processor. It comes with 8GB / 10GB of RAM along with 128GB / 256GB internal storage and runs on Color OS 6.0 based on Android 9.0 (Pie) operating system. In terms of camera, it features a dual camera module at rear consisting of 48MP primary IMX586 sensor along with 5MP secondary sensor, while there is a 16MP sensor for selfies & video calls. It is backed by 4065 mAh battery along with VOOC 3.0 support. Whereas the lower / lite variant of Oppo Reno sports a 6.40-inch Full HD+ OLED display and is powered by Qualcomm Snapdragon 710 processor. It comes with 8GB / 10GB of RAM along with 128GB / 256GB internal storage and runs on Color OS 6.0 based on Android 9.0 (Pie) operating system. In terms of camera, it features a triple camera module at rear consisting of 48MP primary IMX586 sensor with 10X zoom along with 13MP + 8MP other sensors, while there is a 16MP sensor for selfies & video calls. It is backed by 4065 mAh battery along with VOOC 3.0 support.